People owning Recreational Vehicles (RV) truly possess a nomadic soul. They do not like living static, in a brick and mortar home. Their home stretches across the length and breadth of Mother Earth. There are so many who sold off all their furniture, house and car to possess a recreational van, because travelling is their passion. 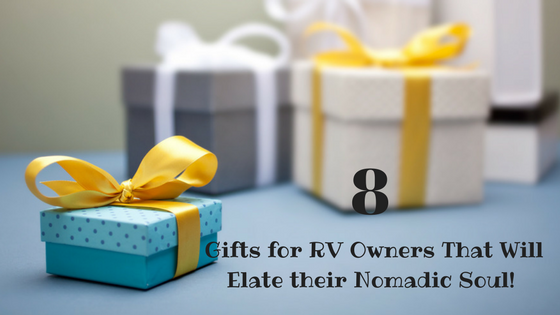 Now, what to buy as gifts for RV owners? They aren’t like your other friends, relatives or acquaintances that a pendant or tie or electronics would make them happy. It is best to offer them something that relates deeply to their passion for travelling. 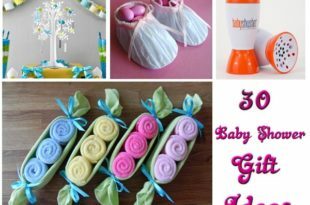 So, here are few gifting ideas for all such traveller souls who like to live their lives on the move. For those who travel through the sharp bends of mountainous roads and the deep silence of solitary woods! A set of nesting bowls can be a great gifting option for campers and travellers. As they have to carry all essentials in a single car, space is a big hassle. 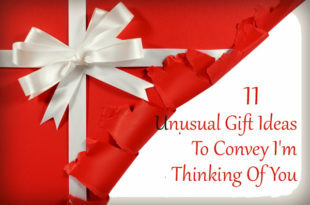 So, why not gift them something that saves space? 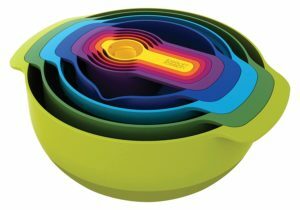 Nesting bowls come in various bright colours and they are shaped and designed such that each fits into the other, making it very easy and convenient to carry. Moreover, these are lightweight and easier to use! Here is a great 9 piece option for nesting bowls with spoons. Check out below! 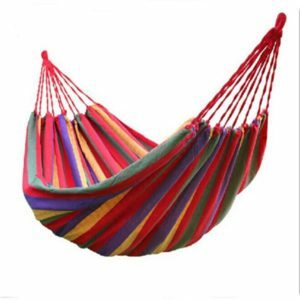 Who wouldn’t like a comfy hammock to relax on when travelling or camping? Make a traveller soul happy by gifting him or her a colourful, sturdy hammock. The person would bless you with all his will for being so thoughtful about his likes, wishes, desire and passion! If you want options, follow the above link for gifting your favourite person a comfortable afternoon nap amidst the wilderness! Cooking is a huge concern when out for camping or travelling aimlessly. 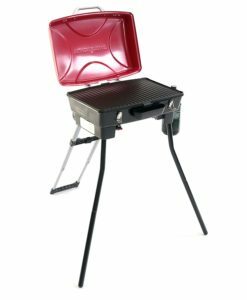 Make an effort to reduce that hassle by thinking of innovative gifts for an RV owner- a portable grill, of course! The feeling of a smoking barbeque with freshly picked wild veggies is matchless. Moreover, these grill tables are lightweight, easy to carry and can be placed in any outdoor or indoor setting! So, whether cooking on the move or while setting up in a camp – it’s a convenient option for both! Need an idea? Check below. What’s the fun if there’s no wine or beer? Moreover, RV owners are always on the lookout for glass holders and portable tables. 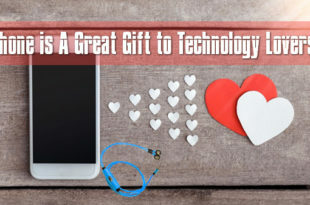 So, why don’t you gift something that will serve both the purposes? 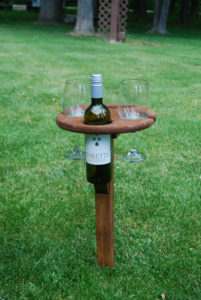 There are outdoor portable tables available which also have carvings for perfectly holding wines glasses and bottles! Such RV gifts are an amazing choice for those who love to sip some good old wine amidst the ephemeral views and spots! Sharing a personal experience: I have bought two of these recently. It’s very useful on the go. Believe me; my travel buddies simply went awestruck. There’s no travelling without some fashionable tees! People owning recreational vehicles must be in the habit of setting out on random tours and trips. While travelling, they will of course not have the provision of washing clothes daily. So, why not gift them a couple of fashionable t-shirts? 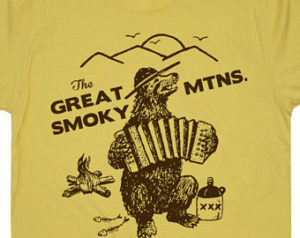 However, just remember, these tees reflect their spirit and passion for adventure and travelling! 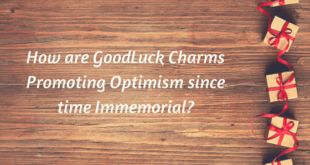 SUGGESTED READ How are GoodLuck Charms Promoting Optimism since time Immemorial? Click the above link to find multiple t-shirt gifts for RV owners! Personalised key rings always make for very special gifts. Since these are always carried around by the person, the message written also becomes a part of the car whose key it holds! These small token of love come will great appreciation from the receiver’s end as well! 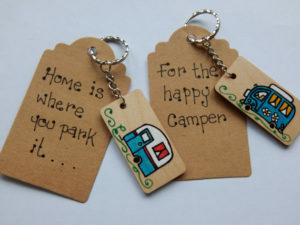 Wooden key ring with a fancy quote that reflects the RV owner’s spirit can be a great gift indeed! Imagine something like, “Home is where you park” or say a wood chunk imprinted with a face of a campervan. Check out the following option; you might find it just perfect! Keeping the coffee warm is a hassling task for people who travel in recreational vans. While sipping coffee is a must when travelling for such long distances, keeping it from cooling down is another necessity! 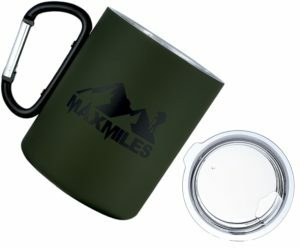 So, why don’t you gift such a person a thermal coffee flaks or mug? That way, he or she can keep the brew warmer and steaming for a longer period. 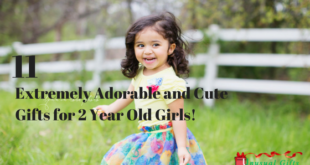 Here’s a choice for you! For people who often set out on journeys on their recreational vehicles, the cars are synonymous to home for them. 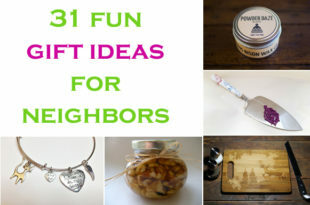 So, why not gift them something to beautify this second home? 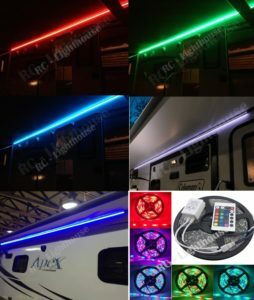 Some nice LED lights, for example! Check out the following link for see great options! However, one thing to note. These are usually not available in 20’ lengths (as most people prefer). In that case, you can buy two 10 foot light strings which look equally great. For those who love to travel, their demands also revolve around travelling needs. 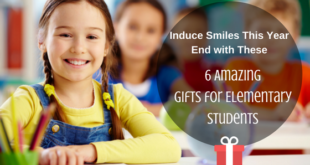 Gifting them something from the above list will not only make them elated but your presents will also find optimum usage. So, rest your worries about finding the best RV gifts. 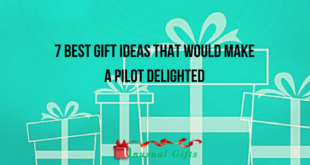 Pen down the above ideas, visit the links and make a traveller soul happy with your thoughtful gifts!